Spa deals are plentiful these days at all types of spas. There are so many different ways to save–joining a club, signing up for email blasts, even finding a fabulous therapist with a private practice as your preferred method of self-care. It does require a little bit of thinking about what is most important to you–a familiar therapist? A posh environment? An affordable wellness holiday? Here are some great ways to dig up the best spa deals–and the kind of spa-goers they best suit. Travel Off-Season. If you're planning a spa vacation, rates drop dramatically when you go off-season. Think blazing hot Arizona summers or snow-driven Northeastern winters, without the ski slope. But that may not matter if you're spending most of your time indoors, going to fitness classes, listening to lectures and getting treatments. Shoulder season, which runs in between high and low season, offers a compromise of decent weather and good rates . Sign up For Emails From Your Favorite Spa. Spas don't want to lower their prices permanently, but they don't make money if their therapists are just sitting around. Many email or text their customers last-minute appointments at lower-than-normal prices. If you're the spontaneous type and don't need a specific therapist, you'll get spa treatments less. See A Private Practitioner. Many of the very best massage therapists and estheticians have their own studio or work out of their home. It's typically much less than what you would pay in a fancy spa, and the therapists give you their best work. Don't expect a robe and slippers, but if you want regular massage or facials from someone who gets to know your body, this is one of the most affordable ways to do it. Check the Deal Sites. 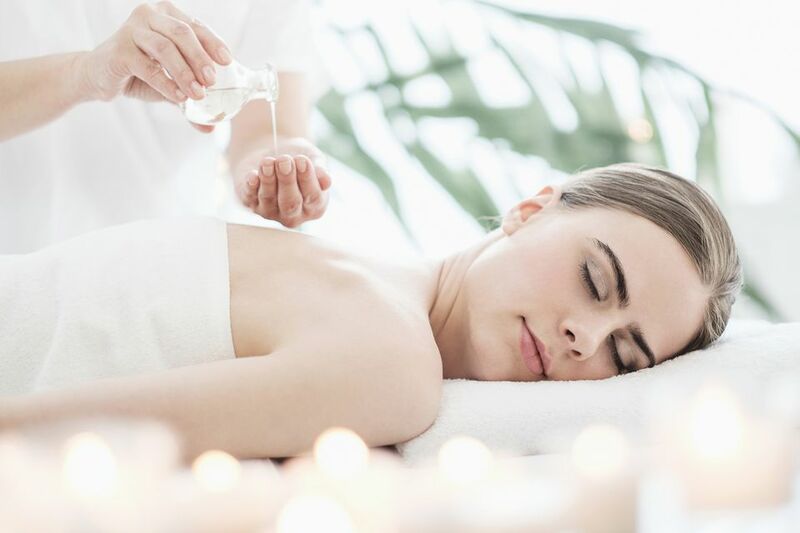 If you live in a big city, deal sites like Living Social and Groupon offer heavily discounted services including massage, facials, brazilian waxing, eyelash extensions, laser hair removal and so on. A few provisos: once you pay for one of their highly discounted spa deal, you won't get your money back even if you don't use it…or if the establishment goes out of business. You might also be paying a cheapie price for someone to learn how to give Brazilians. Ouch. Ask For Group Rates. When you're planning a girlfriend getaway with five or more, call the spa manager and see if you can getting a group rate on treatments. It might not be possible, depending on their bookings, but it doesn't hurt to ask. Spend The Day At A Resort Spa. If you do splurge on a resort spa, make a day of it. Get there early and use all the facilities -- steam, sauna, relaxation lounge. Don't rush off. Bring your swimsuit and a good book -- then hang out by the pool. Ask About Off-Peak Rates and Other Specials. Some spas charge lower rates on the days and hours that have lower demand, such as Monday through Thursday or early morning hours. You'll get the best spa deals if you book spa treatments then. Watch For Spa Week, which offers $50 spa treatments at participating spas for one week in April and in September. These special weeks are fun for bargain hunters, but only take place in select cities, at participating spas, and on just two or three services. Join A Club. Chains like Massage Envy and facelogic offer memberships where you get a monthly treatment for around $60. Just remember, it's no-frills, and some of the massage therapists or estheticians will be newbies. It can be a good deal if you find an experienced person whose style you like. Join A Rewards Program. Some spas have loyalty programs that reward regular customers with a free massage after you get ten. That's a 10% discount -- and you can go anytime you want. Buy A Series. Treatments that require a series such as laser hair removal and microdermabrasion are usually cheaper when you pay upfront. But it's not a deal unless it's the right treatment for you. Find A Small Day Spa. If you're interested in just getting a massage or facial without all the frills, look for a small day spa. Prices should be lower than a big, glitzy day spa. Let Students Work On You....Maybe. If you go to massage schools or esthetician schools, you can get a massage or facial for $25-$40, but ambiance will be lacking, and they're beginners. . Don't get laser treatments, microdermabrasion treatments or aggressive chemical peels from a student. Beginners make mistakes. Should I Go to Esthetician School? How Can I Find a Medical Spa I Can Trust?